Getting kids to eat fruit and veggies can be a struggle. My monster smoothie bowl is a fun way to incorporate more fruits and veggies in your kids’ diet. 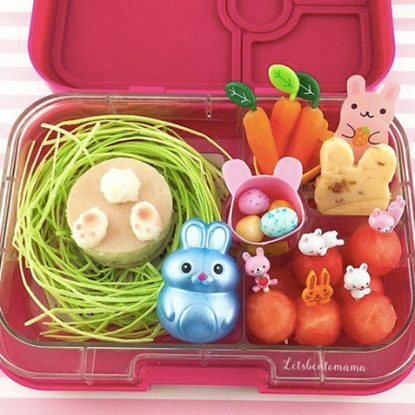 Even the pickiest eaters will love this adorable breakfast! 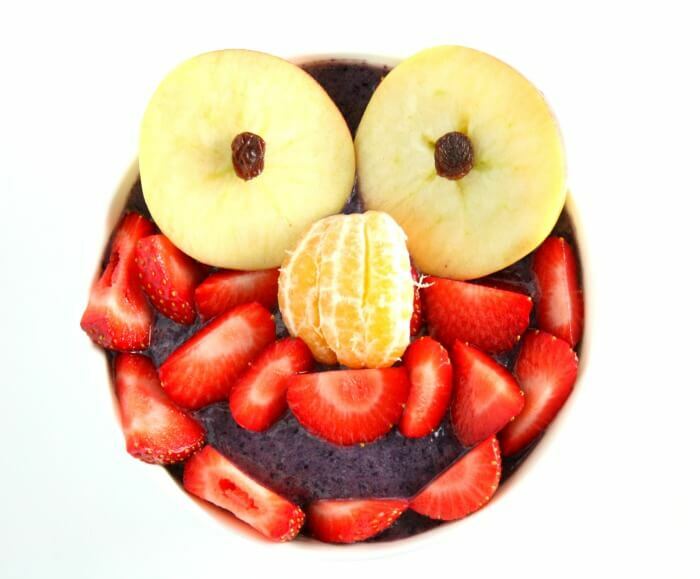 Brighten up your kids’ morning with this monster smoothie bowl. 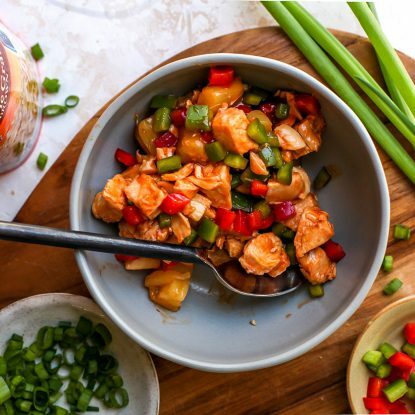 Packed with the protein, vitamins, and minerals your kids need to fuel them through the day. Now that’s something to smile about! This smoothie bowl is easy to make. Simply put the ingredients in a blender, blend, and pour in a bowl. If you’re crunched for time, put it in a glass and you’re ready to head out the door. Add banana, spinach, frozen blueberries, and milk to a high powered blender. Blend and pour smoothie in a bowl. Place the smoothie bowl in the freezer. Slice 8 strawberries to use as the monster's face and cut the apple into two rounds.Top with 2 raisins for the eyes. Peel a clementine for the nose. Take the smoothie bowl out of the freezer. Note- Placing it in the freezer will help the toppings not sink to the bottom of the bowl. Cover the top half of the bowl with strawberries. Add apple slices and the clementine nose. Add strawberries to the bottom half of the bowl- leaving a small area uncovered for the monster's mouth. Serve immediately as toppings will eventually start sinking. Getting kids to eat fruit and veggies can be a struggle. 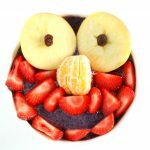 My monster smoothie bowl is a fun way to incorporate more fruits and veggies in your kids' diet. 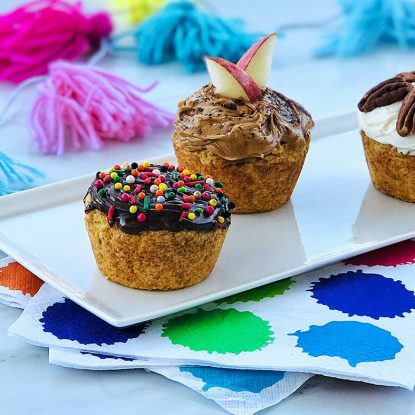 Even the pickiest eaters will love this fun breakfast!